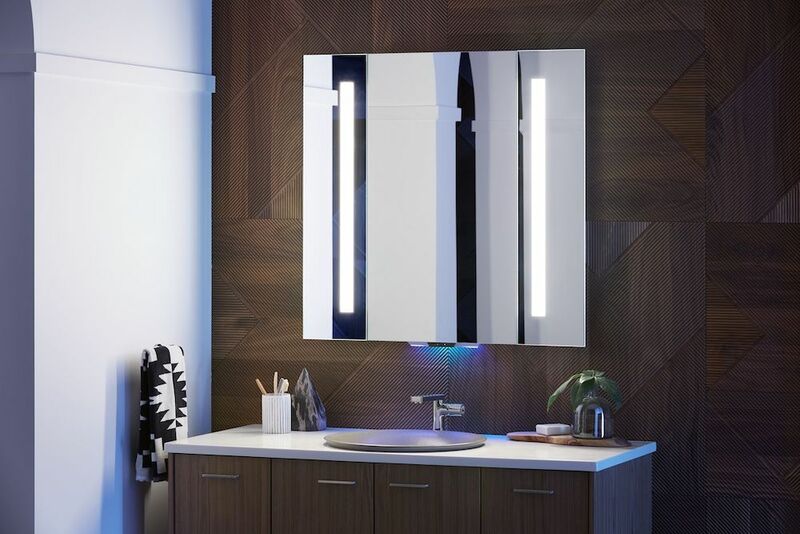 Home appliance company Kohler launched a new product line called Kohler Konnect, which links a variety of kitchen and bathroom devices to a voice-controlled mirror. On display at CES 2018, the Verdera Mirror is programmed with Amazon’s Alexa, allowing the user to control the bathtub, faucet and even the toilet with their voice. Users can operate the kitchen faucet, control features of an intelligent toilet, adjust the lighting embedded in a bathroom mirror, run an invigorating shower, and automatically fill a bath to a desired depth and temperature, all with simple voice commands. Specific amounts of water can also be requested from the kitchen and bathroom faucets, as in, “6 ounces of water, please.” All settings can be managed with a Kohler Konnect app, compatible with iPhone and Android. The rest of the Kohler Konnect line includes the Sensate kitchen faucet, the Numi smart toilet, the DTV+ shower system and the PerfectFill kit, which can fill a bath exactly to a desired depth and temperature. The Verdera mirror will be the first item from Kohler Konnect to go on sale this March.